6 Daily Positive Actions for when Life isn’t quite Working Out. I have big goals and dreams. I know that each of them will happen. And I’m a believer in visualization and the power of manifestation. But, when I started to spend too much time there, in the future visualizations, I started to get impatient in my life. I was impatient because while I was taking consistent action toward my goals, I always had this feeling of “waiting” to reach those goals—I felt that once I did, then I would be content, peaceful, and happy. If you’re like me, and waiting for your dream life, you’re probably missing out on the good things that happen every day—the present moments. I got stuck in this pattern. Stuck waiting for something amazing to happen while simultaneously just letting the days fly on by. Because, after all, it would be so much better when I’m earning a monthly $30,000, with a beach house, the love of my life, and the perfect body. But is that any way to live? Always looking forward instead of enjoying what’s going on around us? So, what are some things we can do daily to stay positive and happy in the present? Below are the questions I ask myself daily to help me feel productive, grounded, and enjoy every single moment of the journey. 1. Have I done something that was good for my body today? Our body is the vehicle in which we move through the world. I try to do at least one extra thing a day that is good for my body. This includes eating well, exercising, sleeping in, getting a massage, or taking an Epsom salt bath. What does your body need right now? 2. Have I done something good for my mind today? Just like with our bodies, our minds need constant upkeep. With our body, gravity can bring us down. With our mind, negative thoughts, doubt, or fear can bring us down. For me, this means asking myself if I’ve done affirmations, visualizations, if I’ve learned something new, or if I was able to read for a few minutes. What keeps your mind in tip-top shape? 3. Have I done something to connect to my higher power today? My spirituality is important to me, and if I don’t tap in, I start to feel disconnected very quickly. Did I meditate, or pray, or journal, or take time to “listen” to what the universe had to say to me? Did I ask my intuition for an answer or feel a connection while in nature? Whatever way we feel connected to our higher power is perfect. 4. Have I done at least one thing that helped/served others today? One thing that makes me feel fulfilled is serving others. I have known since college that whatever my career was, it would be something that helped people. Sometimes in my business, I feel that I’m not making a big enough impact. On really hard days, I feel like there’s so much going on in the world that I can’t possibly make any dent, any difference at all. Helping or serving others can be a smile to a stranger, letting someone cut in front of me while driving, working with a client, donating money, or an act of kindness. 5. Have I done something fun today? What some people find enjoyable, I find draining or boring. For a long time, I felt like I wasn’t a “fun” person because my definition of fun seemed different from what I was seeing around me. Anything that you consider fun is perfect, here. Some of my favorite fun things to do: read, talk to my sister, try out a new recipe, or see a movie. 6. Have I done at least one thing that I wanted to do today? This one is big for me. One of the things I desire from having my own business is the freedom. The freedom to do only what I love to do every day. And sometimes, I can get so caught up in chores and errands and my to-do lists that I forget that I can take time to do things I enjoy (now!). This last check box reminds me how much freedom I have and it makes me much more grateful for everything in my life. This often includes things like: I chose what to have for dinner, I got to watch TV for an hour, I took a walk at lunch, or I spoke with a friend on the phone. Every evening, I run through this list in my head. And most days I easily achieve all six, which helps me to feel accomplished and fulfilled, even while I’m working toward those big, dreamy goals. You can edit this list to make sure you feel like you are getting the most out of your days. Sometimes the things we want don’t come to us right away (maybe we’re not even ready for them, yet). So why not enjoy the process a little and make sure we’re getting the most out of every single day? As they say, the journey is the best part. 10 Simple Things to Do when you’re Burning Out. 45 Do-able ways to Practice Self-Love. 20 Ways to Connect to the Present Moment. Lacey Nagar is a confidence and visibility coach, author, and mentor. She works with entrepreneurs who are ready to step up, stand out, and make an impact with their gifts. She lives in New Mexico and loves to read, cook, and soak up the sunshine. 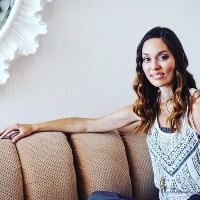 Connect with her via her website, Facebook, and Instagram.